To create an Information Technology based community through the innovative use of computer based solutions. To create a Computer Enabled Community where humankind use computers in business and at home to enhance, have fun and satisfy their needs. We value Integrity, Innovation, Transparency, Customer Focus, Efficiency, Respect Highly Motivated people and Esprit e corpse. We continue to do business professionally for the core benefit of “The Customer”. All calls logged on our helpdesk will be attended to within three hours, while in the city limits of Gaborone. Calls from outside Gaborone will be attendedto in not more than twelve hours from the time the call was received. Our organization operates 24/7/365 in order to satisfy our customer needs. 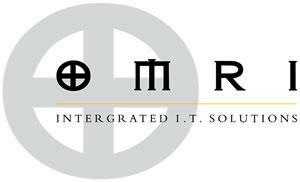 Omri Investments (Pty) Ltd offers a wide array of services such as professional website design, website maintenance. PHP Programming, Web Hosting, Web Templates Design, Graphics Design, Macromedia Flash and other smallbusiness services such as logo and banner design. At Omri Investments (Pty) Ltd we provide a platform which enables your customers to be able to pay for products and services through your website. Customers have the flexibility to pay for the products or services in the local currencywhich is the Botswana Pula, unlike most websites which are restricted to the United States Dollar, or other foreign currencies. Examples of such websites include http://www.mrveg.co.bw and http://www.mtc.co.bw. Omri Investments (Pty) Ltd offers custom software development services i.e. Inventory Management Systems, SQL Server Database Systems, Utility Software, Delphi Application Software, and Company Portfolio Design in Flash CS3 onCD Media.